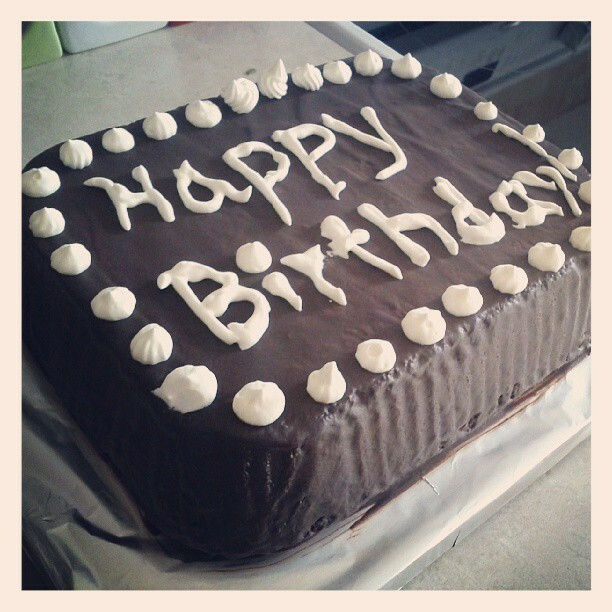 Recipe for a healthy birthday cake for kids – dairy free and gluten free (made from quinoa)! I have made this cake in different variations, maybe a hundred times, and therefore my recommendations would be – make this cake a day before you are planning to eat it, as it tastes much better the next day! Also it allows the frosting to settle in and soak the cake for better moisture. Oh, and one more important point about this recipe, it is HEALTHY so eat as much as you’d like!!! 1) White frosting – use one can of full fat coconut milk – refrigerated overnight (the cold separates the fat from the milk and for this whip we need only the fat, use the ones that have 45% saturated fat or more, I use Thai Kitchen Brand, don’t use the light version of coconut milk because it won’t whip!). Place the solid part in a medium bowl, 1 tsp pure vanilla extract or maple syrup and whip 3-5 minutes until you get the consistency you like. You can use it to frost the entire cake or as a contrast over the brown frosting, I used it to write “Happy Birthday” on my daughter’s birthday cake. 2) Brown frosting – use 1/3 cup melted coconut oil, honey/maple syrup as much as you like, 3 tbsp cocoa powder (preferably unsweetened). Blend everything and pour over the cake and refrigerate. 1. Preheat the oven to 350 degrees F (180 degrees C). Lightly grease two 8-inch (20 cm) round cake pans. 2. Rinse the quinoa with water and put it into a medium saucepan. Pour the water into pot on top of quinoa and bring to boil. Cover, reduce to a simmer and cook for 10 minutes. 3. While quinoa is cooking combine the milk, eggs and vanilla in a blender or food processor. When quinoa is ready add the entire content of saucepan to the blender, add coconut oil and blend until smooth. 4. Whisk together the sugar (if using honey add it last after the quinoa batter), cocoa, cinnamon, baking powder, baking soda and sea salt in a medium bowl. Add the contents of the blender and mix well. 5. Divide the batter evenly between the 2 pans and bake on the center over rack for 45 minutes or until a toothpick inserted in the center comes out clean. Remove the cake from the oven and cool completely in the pan before removing. 6. Prepare the frost. Turn the refrigerated can of coconut milk over and open it, pour into a cup all the liquid (milk) and scoop the solid part into a mixing bowl. With a mixer whisk the coconut milk fat until it looks like white frosting cream (about 5 minutes). 7. When cake has completely cooled turn 1 pan over, cake should slip out easily. This is the bottom of cake, frost it nicely. Repeat for the upper cake and decorate as you wish. I like to decorate it with crushed almonds or blueberries, but you can choose your own favorite decoration. I would love to see how your cake came out so please share with me below. Made the cake, it came out not really sweet but still good. Might try to add coconut sugar instead of honey next time. One more thing – the coconut milk in a can that I opened did not have any solid at all only liquid. Did That ever happen to you and if so what did you do? Thanks! Thank you Dorit for the fantastic recipe, the cake turned out truly delicious! The instruction were easy to follow and I did exactly what you said to do and not one bite was left! I definitely agree about making the cake a day before because it tasted nice and moist. I also added walnuts on top and it turned out to be a great topping!